Kyle also enjoys the opportunity chamber music gives him to play a different kind of music. “Being able to understand how the different themes and textures interact with each other helps me with the solo music that I play.” On May 19, Kyle will showcase his talents—along with the rest of the conservatory’s chamber music groups—in RSC’s Chamber Program Concert at 7 p.m.
Pairing the musical talents of members of RSC’s chamber music groups is always on the mind of Gillian Rogell, the Director of Chamber Music Studies. “When I’m forming the groups, I will wake up in the middle of the night and say this violinist goes with that cellist—it’s like matchmaking,” she says. “Everyone brings something different to the table.” Whether the groups are made up of as few as two students or as many as five, Rogell believes chamber music is unique because each musician plays a different part and every voice is heard. “It creates musical friendships,” she notes. “The students become reliant on each other. 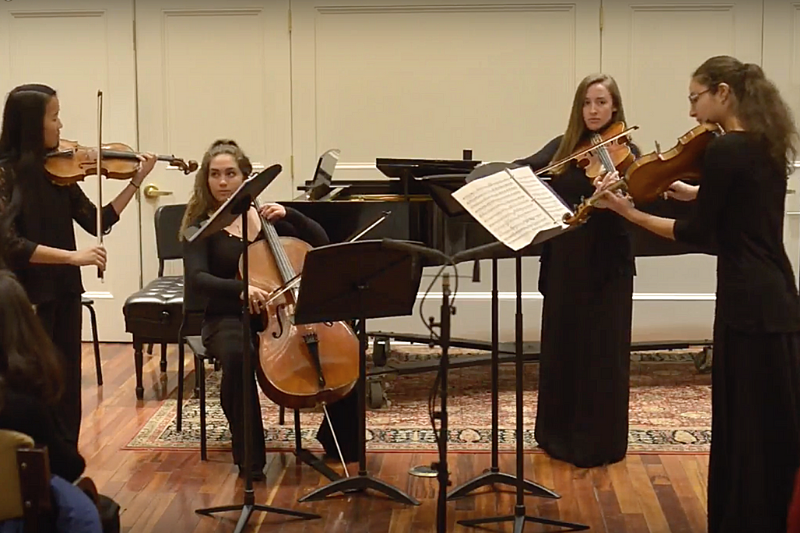 They learn to be sensitive to each other as they become part of each other’s music.” Rogell uses the acronym TREEE to describe what students gain from chamber music – Trust, Respect, Empathy, Engagement, and Enjoyment. 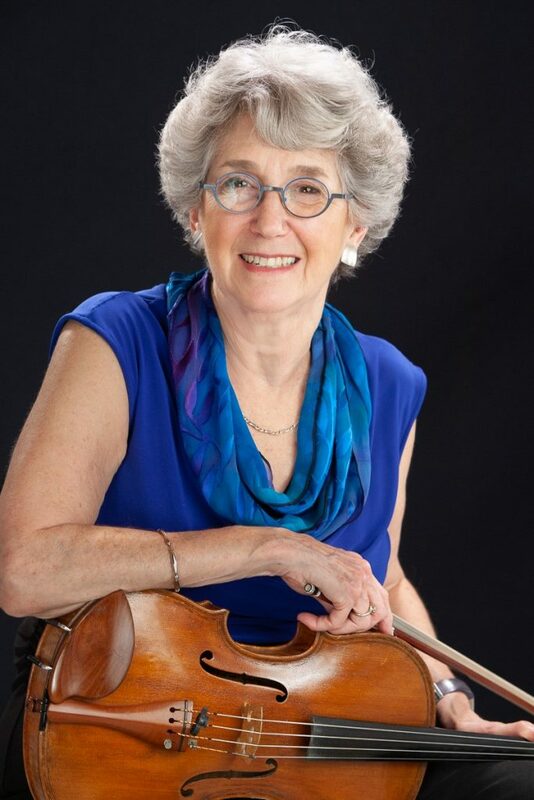 Rogell co-coaches two chamber music groups with RSC Artist-in-Residence Lois Shapiro. “We are not just teaching them notes but how to communicate,” she explained. 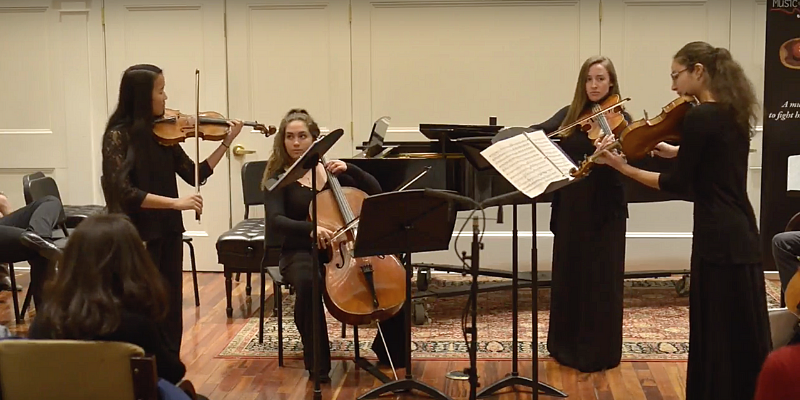 “We move, we breathe, we use our eyebrows.” This year the students have also had the opportunity to work with the Meadowlark Trio, and they have performed at the senior assisted living facility, Lasell Village, to a warm reception. “It’s very rewarding,” Kyle says. Learn more about Rivers Chamber Music program. Auditions for the fall semester will take place in June.